Many sports fans are conflicted—they may love the games, the players, and their communities, but may be alarmed by issues including academic corruption, athlete safety, and the overarching emphasis on winning and profit at all costs. 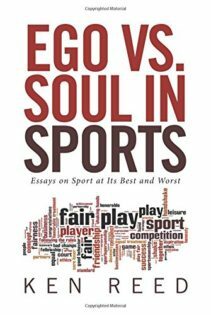 From disturbing new research about the long-term impact of sports concussions to publicly financed stadiums that drive profits to team owners but not communities, author Ken Reed argues that much of our sports culture is broken, driven by ego and greed. 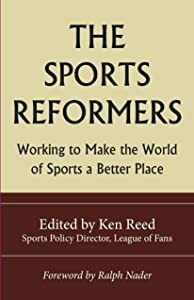 How We Can Save Sports, with a foreword by Ralph Nader, is written to inform and empower sports stakeholders who care deeply about the impact of sports today on individuals and society as a whole. Reed, sports policy director for the League of Fans, introduces readers to nine of the most pressing problems in sports today and shows how they largely derive from the mentalities of profit-at-all-costs and win-at-all-costs. Chapters dig into issues such as concussions, overzealous adults in youth sports, the disappearance of PE from many school curriculums, the focus on profit objectives in college sports, discrimination in sports, and more. Each chapter outlines key challenges and provides concrete steps that readers can take to work for change. The book includes lists of helpful resources for readers interested in change at various levels — from youth and high school sports, to AAU and college athletics, to professional sports. • Examines nine major sports issues, often from a public policy perspective. • The book not only analyzes critical sports issues, it also provides a wide-range of recommended solutions. Resources and ideas for budding sports reformers are included. 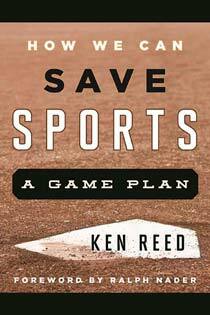 Ken Reed is sports policy director for the League of Fans, a sports reform project started by Ralph Nader. Reed is a long-time sports marketing consultant, sports studies instructor, sports issues analyst, columnist and author. He holds a doctorate in sports administration and created the Center for the Advancement of Physical Education (CAPE) for the non-profit PE4Life, devoted to cardiovascular-based physical education for all students, K-12. He blogs on sports issues for the Huffington Post.